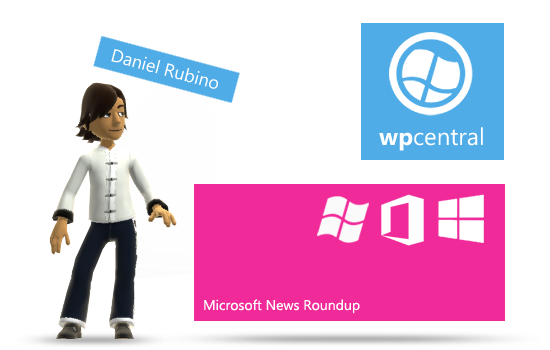 Microsoft News Roundup – 20 Win8 tablets coming, MS has a new keyboard & Windows Phone at 4%? Windows Phone will grab 4% market share in the US in 2012? According to Intel chief executive Paul Otellini, various OEMs have big plans for Windows 8 this fall and while Microsoft’s Surface is getting a lot of attention it looks like Microsoft’s partners are not sitting this one out. 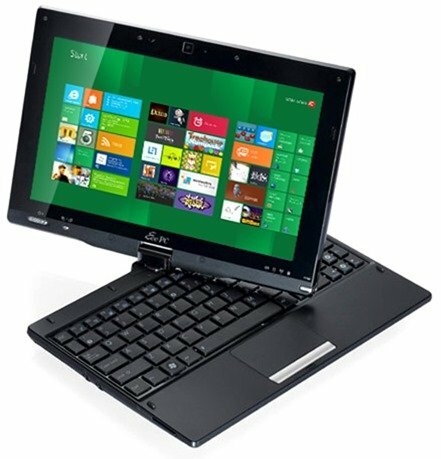 Intel’s Otellini revealed that 20 tablets featuring their processor will be hitting shelves later this year featuring the new Windows 8 OS. We guess this puts to the rest all the handwringing that Microsoft was kicking its OEMs in the face by doing the Surface, eh? Pundits—they’ll make a controversy out of anything but the reality is often quite different. Our only concern now is how will we make a choice? With 20 tablets comes 20 different choices (and we’re not sure if that 20 includes Surface). While Microsoft’s tablet has stolen the limelight we’re hoping the OEMs can innovate, innovate, innovate to really wow us both in terms of price and features. While many folks don’t think of Microsoft as a hardware company, they make some killer webcams and keyboards. Heck, their ergonomic keyboard is one of our favorites—sure the learning curve and adjustment period may deter some but once you adapt, you don’t go back. 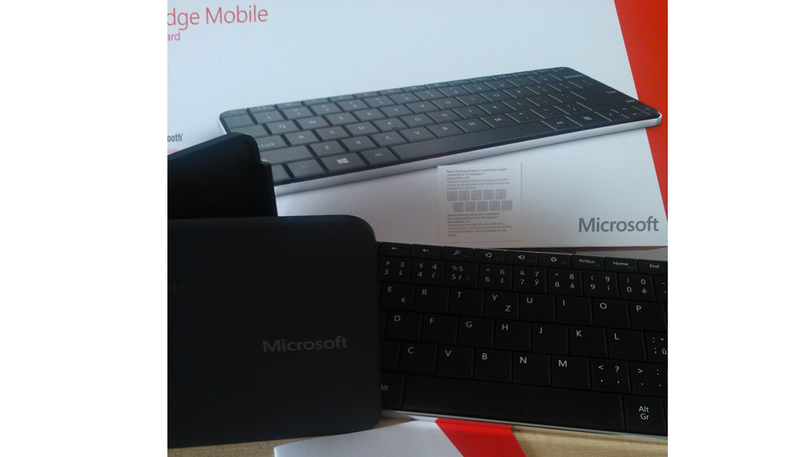 So we’re glad to see Microsoft has another keyboard headed our way dubbed ‘Wedge’. From the leaked images, we’re looking at a—dare we say—Apple-esque design with smooth contours and a relatively thin, svelte design. The keyboard is reportedly for “mobile use” which makes it seem like it’s another Tablet keyboard—perhaps something for those other 20 mentioned above? Call us crazy (and forgive the rant) but we’re getting just a tad tired of reporting on marketshare woes for Windows Phone. One survey says it’s bad, another terrible, another says it’s going pretty well; some are for this quarter, some are for sales, some are for overall phone users, etc. etc. You know what they all have in common? Lack of actual data from Microsoft or their OEM partners. Which makes them hard to digest especially when they contradict each other. Don’t get us wrong—Windows Phone is still just a tiny blip for marketshare, we know that part—but we can’t help but wonder what the real answer may be. So with that preemptive complaint, Strategy Analytics is reporting that Windows Phone will grab 4% of the marketshare this year in the US which is up from 3% last year in 2011. That translates into 5 million phones versus just 3.5 million last year. Shocking, no? It’s a good thing we have these analysts around. We don’t know if 4% is correct for the US but it does feel kind of right—we know Windows Phone is not flying off the shelves but it’s clear it’s doing better than 2011 and getting some decent press, especially with Nokia and their gusto for advertising. But 4% won’t get us very far and reinforces the notion that Windows Phone 8 and some un-announced “game changer” is really needed to break the current trend of slow growth.